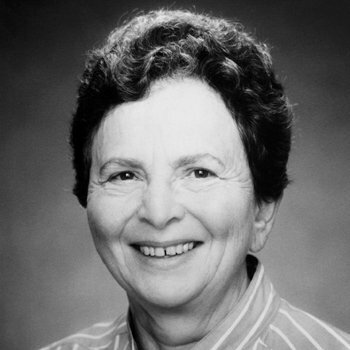 Dr. Rachel Schneerson received her MD from Hebrew University, Jerusalem, Israel, in 1958. She did her pediatrics residency in Israel and later came to the United States to work for the Eunice Kennedy Shriver National Institute of Child Health and Human Development until her retirement in 2012. Since 1970, Professor Porter W. Anderson, Jr. and Dr. David H. Smith of the Harvard University (USA), and Dr. John B. Robbins and Dr. Rachel Schneerson of the National Institute of Child Health and Human Development (NICHD), focused on research to understand the mechanisms of disease and vaccine development for Haemophilus influenzae type b (Hib) as a part of the National Institutes of Health (USA). Hib is one of the core causes of meningitis, particularly in children under the age of five. The disease has a high mortality rate and if not fatal, could result in permanent disabilities. The research teams were the first to introduce the polysaccharide vaccine which is based on a sugar molecule derived from a part of the Hibs capsule. It was, however, shown that this vaccine was not effective among children younger than 18 months old, the group at most risk of contracting the disease. This is in part was due to the fact that polysaccharides are a weak inducer to boost immunity. They then developed conjugate vaccines, a technique that linked a protein with the polysaccharide to strengthen its immune inducing capacity. The Hib conjugate vaccine was much more effective in younger children and was licensed in 1989 for use on children at the age of 2 months old. Professor Mathuram Santosham of the Johns Hopkins University studied the epidemiology of Hib. He demonstrated clinically that Hib disease was preventable by immunization and conducted several vaccine trials, which included Hib conjugate vaccines. The results of his studies had a great impact on encouraging the use of Hib conjugate vaccines for all children. Later, he became the leader of the Hib Initiative funded by the Global Alliance for Vaccines and Immunization (GAVI). This project has supported the Hib conjugate vaccine as a part of national immunization programs in up to 190 countries. After the Hib conjugate vaccine was made available worldwide, the incidence of Hib disease and its mortality among young children has dropped as much as 95  99%. Millions of children have been saved from Hib disease. Few would have anticipated that by the year 2020, over 7 million lives would been saved due to the use of Hib vaccine.